Our guide to Eureka Springs will help you find the best bed and breakfasts in Eureka Springs Arkansas. There are tons of great bed and breakfasts in the city of Eureka Springs, our city guide will help you find the best bed and breakfasts. You may have a hard time deciding what to do in Eureka Springs, but we make your decision easy. 2865 Mundell Rd, (479) 253-8439 - Plan your relaxing, romantic cabin getaway in Eureka Springs, Arkansas premier cabins today at Beaver Lake Cottages. 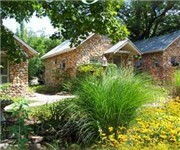 There are plenty more bed and breakfasts in Eureka Springs. See all bed and breakfasts in Eureka Springs Arkansas.